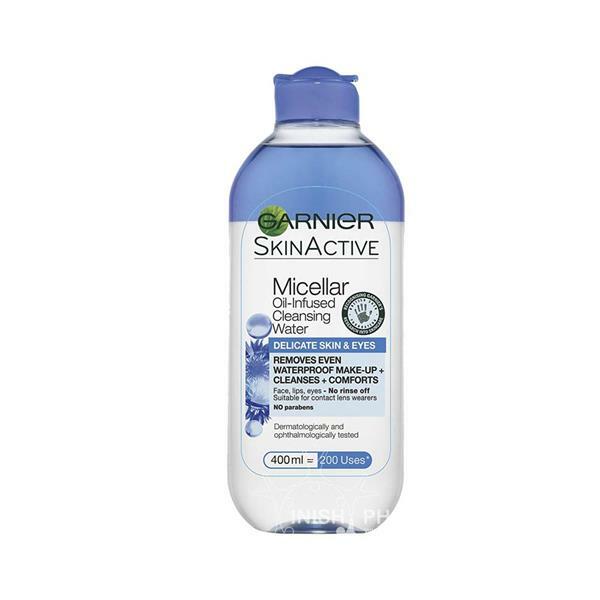 This Garnier Micellar oil-infused cleansing water is specially designed for delicate skin and eyes. It will cleanse and nourish your skin. The cleansing water removes waterproof makeup, dirt & any impurities from the face, without the need for scrubbing or rinsing with water. This oil-infused cleansing water is suitable for dry, sensitive skin and is eyes-suitable even for contact lens wearers.